Ariel Schrag continues her tumultuous passage through high school in the second book of her acclaimed series of frank, insightful, and painfully honest autobiographical graphic novels. Written during the summer following her junior year at Berkeley High School in California, Potential recounts Ariel's first real relationship and first-time love with a girl, her quest to lose her virginity to a boy, and her parents' divorce -- as well as the personal and social complications of writing about her life as she lives it. Along the way she hangs out with her favorite teacher, obsesses over clothes, gets drunk, smokes pot, and tries to connect the biology she reads about in textbooks with the biology she's living. 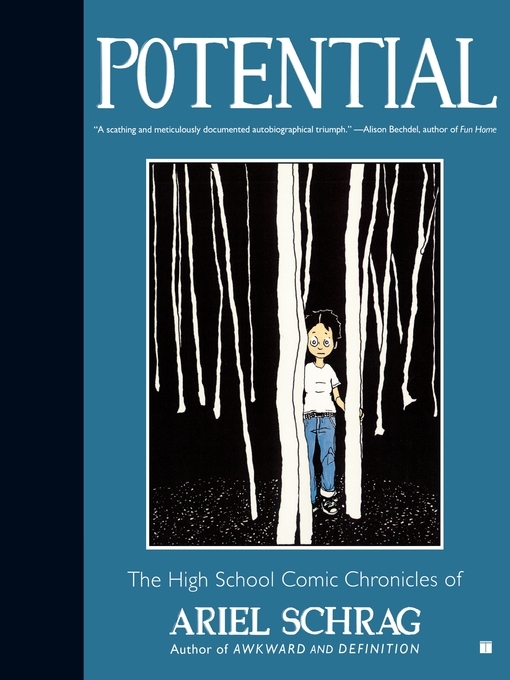 Ariel Schrag is also the author of the autobiographical comic books Potential, which was nominated for an Eisner Award, and Likewise. She divides her time between Los Angeles and New York.